I'm going to assume that you're referring to the 1.11.2 version, which I assume other people have also mentioned, as well as in private messages. I rewrote some of the code to make it easier for future updates, and in the process used a Mojang function to compare items, which has obviously caused confusion since it doesn't work the same as how I previously compare items. The best solution will be to add a decent way to specify whether people want to ignore item damage values and/or ignore NBT data, because that's really the only way to satisfy everyone's various issues. But in the short term, since I've been occupied with other stuff for so long, I want to at least revert behavior to how previous versions work. Sorry to anyone who has been waiting for this to be resolved, I hate that it's taken so long to get back to it! I'm hoping it'll be solved before the weekend this time. Ey! Thanks so much for your mod, it is amazing! I really like it. I have a question. IS there any way to place rails on Grated Hoppers? I tryed, but didn't work. That would make sense though that it would not sort. oh so even though the nametags have different names, they still count as the same thing? Am I understanding that correctly? 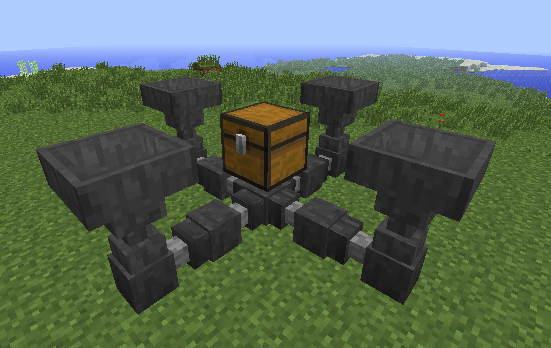 Tried this with 1.11.2 and it doesn't work. Having the same issues as everyone else here below. It's basically not taking the filtered items, it's just passing all items down into the filter hopper and out the bottom regardless of setup. 1.) Hopper ducts will not let hopper/grated hopper pull from its inventory unless the duct is piping into the hopper/grated hopper. 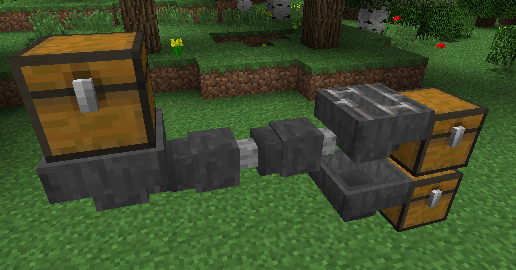 It's not a speed issue, I tried piping the hopper duct into a stone block while a hopper was under it and it will simply not let the hopper have that item. 2. 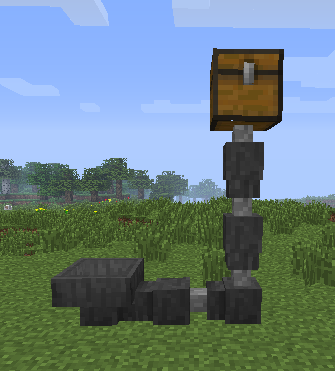 )Grated hoppers will pull any item regardless of its filter which defeats their purpose. I never encountered these problems in the dev environment, I'll have to look into it more thoroughly. It's particularly strange because I specifically worked on that very thing. Sorry that I haven't been more active, between family health stuff and normal junk I just had to shift Minecraft to a lower priority for the time being. I'm not going anywhere, though! I hope this issue gets sorted in the end. Take time and care, man. Hey im currently using this mod in my mod pack called World of Wonder an just ran into a small issue mod to mod Co-Op with the mod Cooking for Blockheads. was cooking bread in the oven an with a hopper under it an i had a hopper duct attached to it leading into the fridge so as the bread cooked an the hopper took it it traveled the pipe but it did not put the bread into the fridge. maybe in the future you could make it so it can work with other mods like this. with the grated hopper, if i set a block in its filter then put an inventory on top of it it still pulls all items from the inventory but only allows the filtered item through, is it supposed to do that or am i reading the Q&A wrong? I am loving this mod to no end. 2. If the duct is still moving items too fast for the grated hopper, break and replace the duct directly over that grated hopper.